A few years ago I had the best PD so far of my teaching career – spending time in @sherrattsam classroom. There I was introduced to the concept of the bubblecatcher. 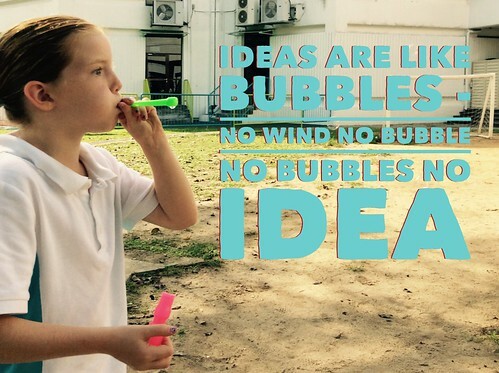 Sam gave an address at learning2 last year on the topic of Bubblecatchers. 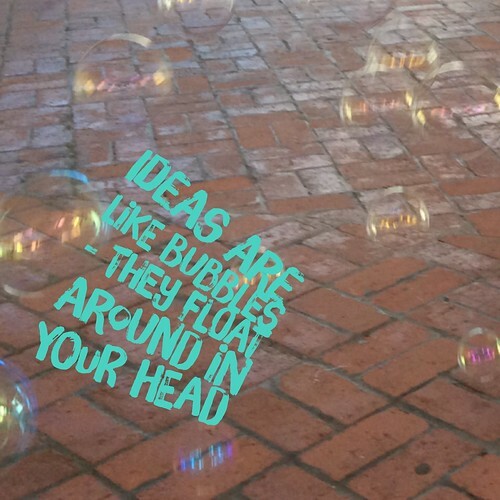 The idea of documenting and tracing ideas appealed to me and I loved the concept of ideas being like bubbles. I immediately went back and implemented the idea in the classroom. Like many ideas you see online or hear about, the first year of the bubblecatcher was a little bit of a failure. After the initial excitement, the bubble catchers ended up being barely touched at the end of the year and then I gave up. Firstly I wasn’t encouraging the use of bubblecatchers in class. Secondly I hadn’t taught the children how to document ideas. After 7 years of school so many of them had associated bookwork with putting the date at the top of the page, ruling off, missing a line. They didn’t have the tools to be able to record their thinking. But then I learned about sketchnoting at the Apple Distinguished Educator institute last year and realised that I had to explicitly teach how to capture ideas visually and be more active in documenting learning. After visiting Sam again last year in Ho Chi Minh City, I was ready to give bubblecatchers another go. One of the areas of the curriculum that really benefited from the bubblecatcher was during readalouds. 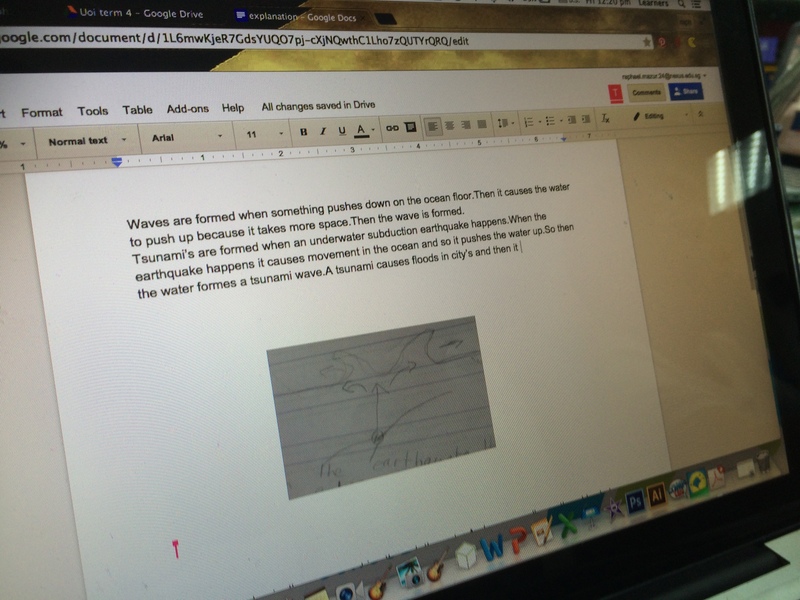 I would document ideas on a google presentation and the kids would doodle in their books. 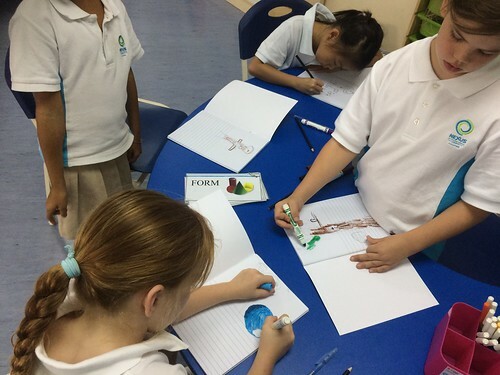 This eventually led to the children using their bubblecatchers in different learning areas – bubblecatchers often showed up in videos or google docs as the children remixed them for their purposes. As we came into the next year I had a think about bubblecatchers – though I loved the concept I decided on a different name. The Sketchbook of Impossible Things. The idea comes from the novel I am reading my class this year, Fish in a Tree by Lynda Mullay Hunt. The book is one chosen for the Global Read Aloud in October however I loved the message of the book – that we learn in different ways – and the main character’s love of drawing in her ‘Sketchbook of Impossible Things’ that I decided to start the year with the book and rename bubblecatchers in honour of the book. I still kept the idea of bubblecatchers alive by taking the children out to blow bubbles – one person blowing bubbles and two people catching one with their hands and the other with an iPads. 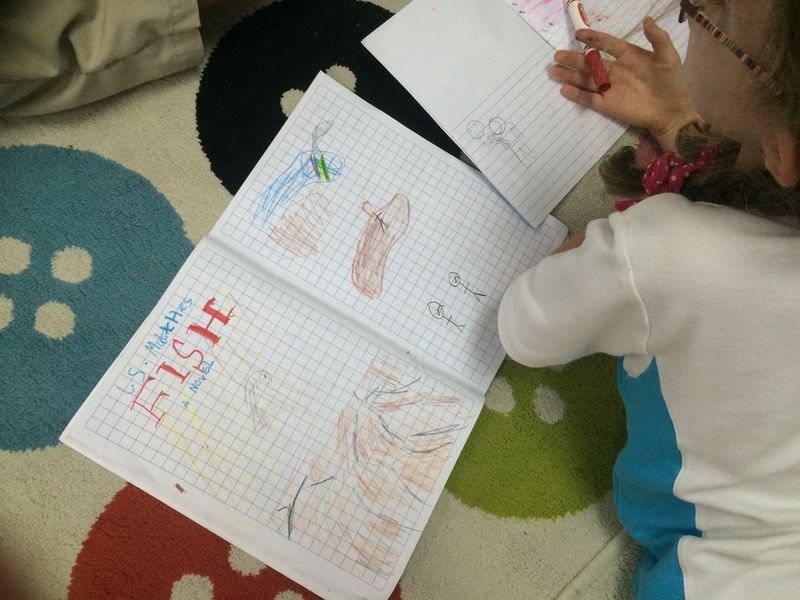 The children made the connection that ideas need to be documented or they fly away much like bubbles. 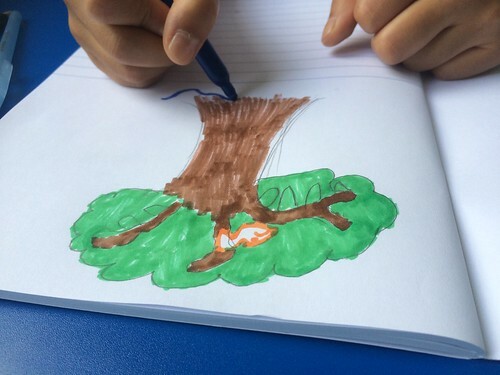 When the main character in Fish in Tree talked of her Sketchbook of Impossible things the children were eager to make that connection between their own Sketchbook and the one in the book. It was the same sound of glee the children had when they realised that this would be a school book where they could draw and doodle. Where they didn’t have to stay in the lines or underline a date. Where they didn’t have to follow the rules of school. Maybe we need to re-examine the purpose of bookwork in class? Because so many children are confusing exercise books with compliance rather than learning.